John Stone describes how anger kicked off his transformation. It not only fueled his external change, but let him accomplish it in an almost inconceivably detailed manner. The discipline to record daily pics across so much time was levels beyond anything I had ever heard of. And looking closer, I saw that he had also recorded every meal he ate for about 6 years. 6 YEARS!! I know that bodybuilders and athletes get strict when approaching a competition, but this…this was MASTERY, a goal so dim and far off it may as well not even exist for us mere mortals. 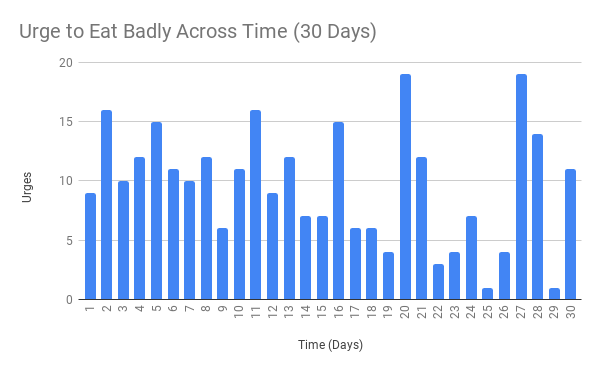 After day 22 there was a dramatic drop in my low urge days, which is exactly when my carb flu passed. The average number of urges per day has been 10. This is very interesting considering it’s nowhere near as many as I’d have thought. And little facts like that are very useful going forward and in describing this process to others. How does this stack up with other vice removal-style changes on the same time frame? Cigarette urges almost entirely disappeared within a month (though the drop off in urges occurred earlier). Conversely, urges to drink beer came up again the day I started this current project. I can’t see a pattern in these three behaviors, but I am curious to see if there is one long-term. The story beyond the numbers is more turbulent. Carb flu was horrendous. It lasted 2 weeks, from days 9 to 22. It felt like a deep, yawning pit of exhaustion. I had a complete inability to think clearly, accompanied by weird body temperature fluctuations, light sensitivity, and incredibly low willpower. I started needing midday naps. I couldn’t work out, and I attempted doing lighter exercises like yoga. I wanted to start recording my weight, taking pictures like John Stone, and get a starting blood test - none of which happened because I was so fuzzy headed. Despite all this, the control I exhibited was shocking, and it really showcases the benefits of what I’m calling a “craving model” of vice removal vs the traditional “action-oriented” model. 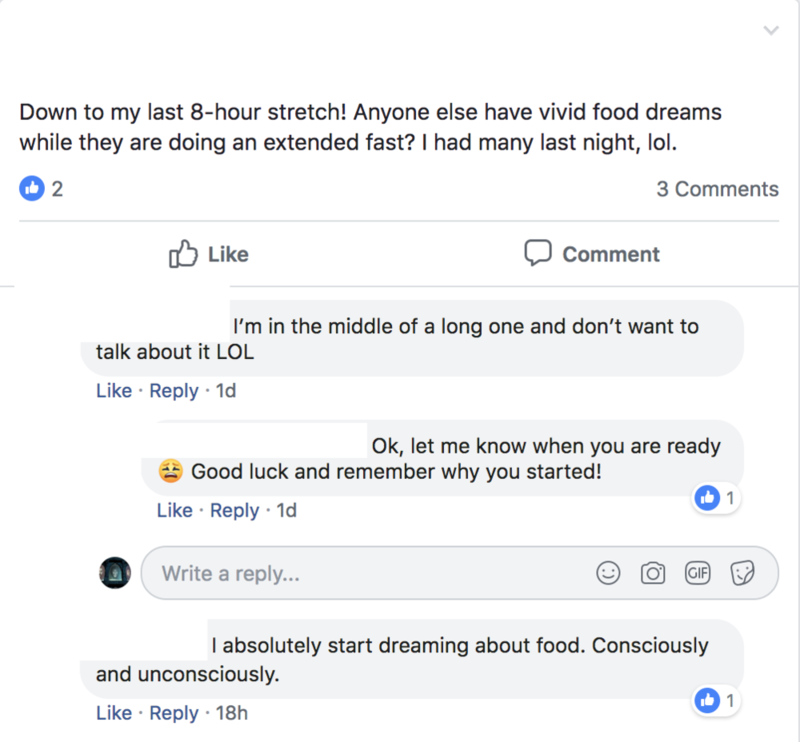 Every willpower breaking scenario came up during this time frame. I traveled to Bryan-College Station for a very emotional get together. I had a late night burger at 1 am, completely clean, with no bun and with yucca and plantain fries. I had crazy control in social situations, refusing beer and food when it was offered to me by friends. I went to my absolute willpower Kryptonite - Ninfa’s, a Mexican chain that I grew up eating. 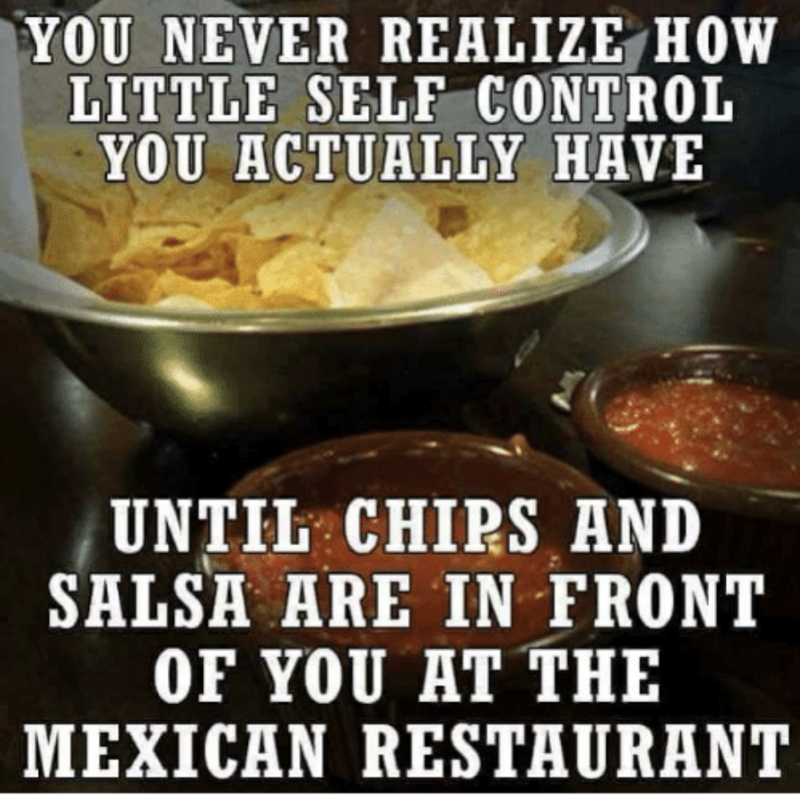 My food arrived late and I sat there, watching people eat, staring at a basket of chips and salsa without partaking as my friends sent food I couldn’t accept my way. And when my meal finally came, it came on a fried crunchy tortilla bowl. I didn’t eat the bowl. I watched a friend eat a delicious looking burger and fries in front of me at a bar. 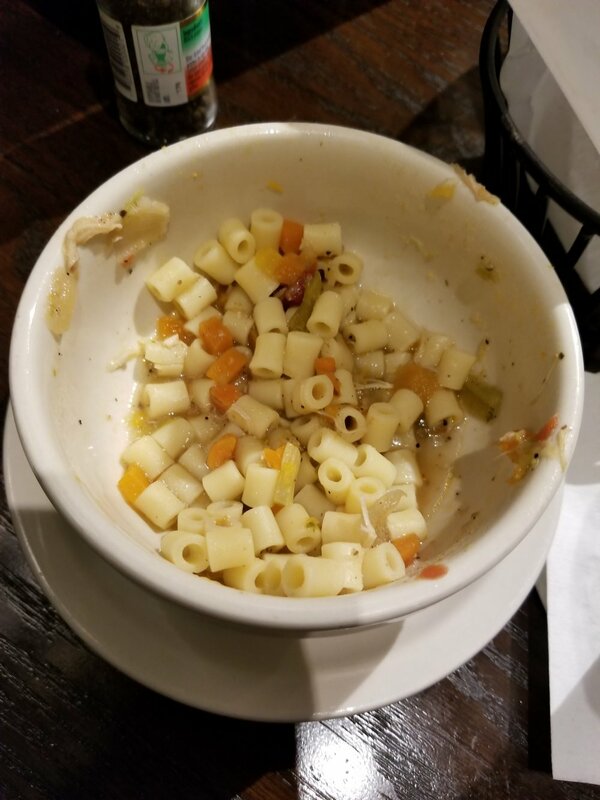 I ordered chicken soup that came with tons of noodles (despite not being in the description) and ate around it. At a few points I’ve ordered salads with croutons and just absentmindedly ate around them. Lydia went on a press trip and also exhibited perfect control. Making correct food choices is, I believe, more difficult for her than me, yet at one point she slit a gyoza and only ate the insides. This occurred while having free food shoved at her from PR reps at all sides. Amidst all the challenges, a few strategies emerged. Steering people towards places with better food options definitely helped. For hard dates, looking up the menu to see if they’ve got good options is always wise. And when we independently had to go to a place with limited options, we both made sure to eat breakfast at some place clean beforehand. Moving my keys and phone to my other pocket was prudent so I could have easy access to my counter during problematic meals. I also believe that not avoiding difficult situations is generally a good thing, because with food, control needs to be exhibited everywhere. Practicing this method requires wading through a lot of difficulty. The traditional method of controlling food is summed up in “Eat X, do not eat Y.” It has horrible adherence stats. Nearly everyone fails. The craving model is a shift over in emphasis from the actual act to the mental movements that begin the chain of events leading to bad eating. This is clearly superior in terms of adherence. But it also unearths so many behavioral threads that aren’t always exposed. During that last 30 days, I felt inundated with ads on unhealthy eating, ads I never really noticed before. There were ads that would just pop up on Youtube, or Instagram, or Facebook, often ones you just couldn’t skip past. They’d come out of nowhere, and they’re crafted to hook you. It’s honestly a wonder there aren’t MORE obese people. The tally clicking technique forces you to confront those cravings in your natural environment. Even though there are people who go monastic, it’s really difficult to isolate yourself so totally. And it seems to embed a probably future break in willpower if you revert to a normal atmosphere. This shift from actions to monitoring urges occurred naturally, and it makes this project bizarrely effortless. I tend to become a bit irritated when I have more urges in a day, and I have to take a step back and remember there was never a moment where I thought I’d just give in to the urge itself. This shift unveiled a number of new connections and hidden triggers. Popcorn came up a lot because I’m so used to thinking about it as a clean, highly enjoyable snack. There was a separation between general hunger versus an urge for something non clean. I was able to recognize antagonizers and stressors - like movie theaters and bar food. Layers of un-matting included appreciating the smell of really good food (picking up glorious smelling garlic naan and driving with it back to my parents house!) versus I having the urge to eat it. Or discussing and appreciating that food could taste or look good, without the craving to consume. This happens a lot during many cooking videos (which I enjoy watching). Again, this reflects a technique where behavior change doesn’t come from environmental change. These are connections I simply had no idea of 13 years ago, when I first started seriously trying to control my diet. I’ve counted at least 8 iterations (not including sub-iterations) on the methods I’ve tested, all of which ended either in failure or limited success. 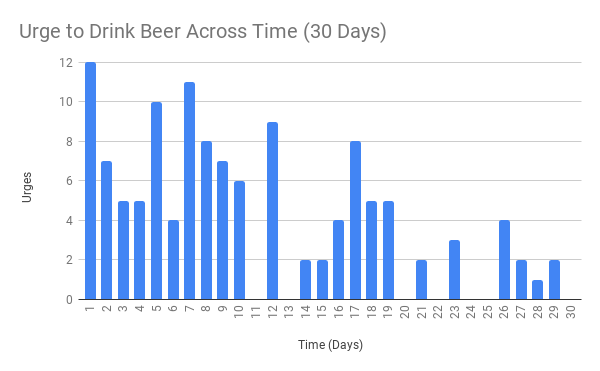 This “Mark VIII” build is the first time we’ve ever eaten flawlessly clean for an entire month, almost absentmindedly completing a Whole 30 Challenge (minus the booze). In a recent conversation I advised a friend on how to start the program. An important part to understand is that this build isn’t just about the tally clicking. It rests upon many previous versions. I created a once-a-week habit of grocery shopping that I still do. I use the Novelty Effect to randomize my meals. Those both provide a steady base. I’ve also rested it on top of the usual implementation intention, mental contrasting, and recording. Those, problematically, didn’t help me while living my life in general, with interruptions like travel, or eating out. This does. It is interesting to note that the main stumbling block is the small stuff - setting up a spreadsheet or carrying my tally counter around, or even just having easy access to it. Potential version 8.1 improvements would include taking pictures as though on a “flash” diet, or giving a mental “atta boy!” after a click. Or incorporating a general gamified attitude when actions are especially difficult, like picking out croutons from a salad. Doing it with a partner or group would also add a layer of Socializing for extra adherence. I’m also looking into knitting row counter rings to increase accessibility of the tallying mechanism. But it’s still quite effortless. I can see myself easily keeping this up for 90 days and beyond. In the future, I do want to tackle all alcohol. It’s very interesting how much of a crutch and how habitual it is. I have an urge whenever I cook. It’s a social lubricant. It’s an easy go to. There are really odd networks of what consists of a satisfying night out, of just relaxing at the end of the day. And that idea of needing something - or of holding on - is bothersome for me. This is sort’ve the root of the craving vs action difference. For one, it’s as though people are only suffering through it by clenching - holding on to dear life until they can cheat, or until they’re done with the program. And that’s really how I felt before. I was forcing myself to do something that was doomed to fail - and it did. In the I Ching, there’s a saying - “the beginnings hold the seed of all that is to follow”. I think that’s true. The hallmark of really well crafted self-help technique is that it just feels effortless. It’s a work of fine engineering that not only attacks the root of the problem, but works amidst the turbulence of every day life. It feels like it can be sustained forever. That’s how I’ve felt in the last 30 days. We’ll see how the next 60 go!